Wow! Time is flying in so fast. I can't believe our Wee Page Turner is going to be a month old this week. We've had some great successes over the last week as well as some challenging days. Daddy went away overnight to a wedding (and had a brilliant time) and I was left with two bairns to look after. Fortunately I wasn't single handed as Grandparents BookBairn came to help out (thank you both). And The Wee Page Turner, after all it was a night alone with him that I was worried about, was amazing and slept for 7 and a half hours in a single stretch, couldn't believe it! So I felt a huge mummy achievement to end the week. 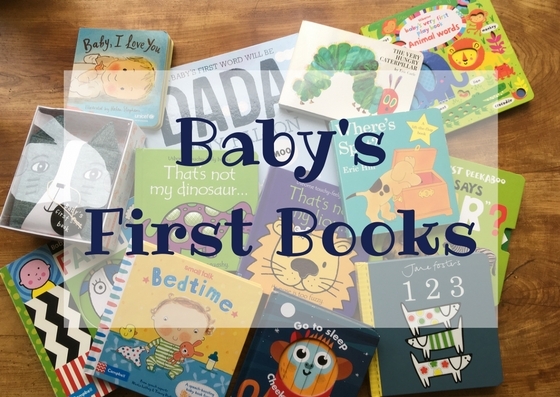 Other highlights of the week include Papa BookBairn reading Papasaurus to BookBairn for bedtime, enjoying a meal out at a restaurant and blowing bubbles with BookBairn in the garden and watching her 'blow' bubbles by waving the wand around. I'll not mention the 'low points', let's be realistic there were low points, but they are now forgotten in a sleep-deprivation haze. Thanks for all the lovely messages this week! They keep me smiling during those low moments! 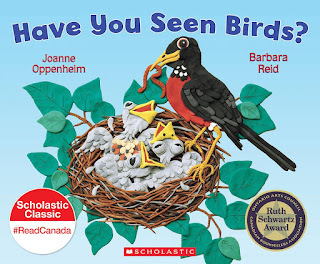 REVIEW OF THE BOOK: Have You Seen Birds? Through Joanne Oppenheim’s engaging poetic verse and Barbara Reid’s intricate Plasticine sculpture illustrations, this title lyrically portrays the widely varying birds seen throughout the four seasons in different habitats (i.e., sea birds, fishing birds, marsh birds, etc.). The Plasticine illustrations bring an interesting 3-D look to the pages. Many of the scenes are depicted from the perspective of a bird. The text is placed in various locations on each page in order to best fit the changing size and location of the illustrations. It is uniquely set up to be a cross-over between non-fiction, poetry, and a picture book. This beautiful title is a re-release of the original 1986 book and includes a new title page and a list (on the last page) of the breeds of birds depicted in the various illustrations. My 3-year-old LOVES this book! We have read it upwards of twenty times. The 2-year-old twins grab this from the shelf and pour over the illustrations. It has been fun to watch them reach out and try to touch the realistic-looking 3-D-reminiscent Plasticine sculpture-type illustrations. The text employs a wide variety of descriptive language that has helped increase my toddlers' vocabulary - we stopped to further discuss several of the words! I highly recommend this title as a must-have for preschool and beginning independent reader collections. • Create and illustrate a poem describing another type(s) of animal (modelled on this book's format) - do it in poster or book or e-book format, etc. Thank you so much for sharing this one Erin! 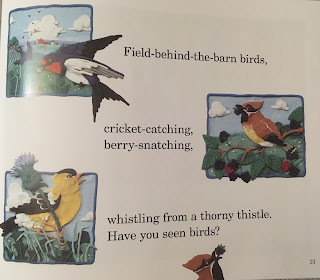 I think BookBairn would really enjoy it too as she just loves birds! Wife. Adoptive mom to toddler twins and a 3 year old. Career as a Teacher-Librarian temporarily on pause. Reads tons of books to the kids. Longs for two minutes alone in the bathroom. Lives for sloppy kisses. Figuring out life on the fly with laughs, friends, and grace! I am a “mature” mom – jumped into this in my very late 30s and am now starting to explore my 40s ;-). My hubby is 7 years older, and we joke that our poor kids will have to keep explaining the two old grey-haired fogies at their graduations to all their classmates. Ah well, just think how wise we’ll be by then! Book Reviews: As a Teacher-Librarian and AVID reader, one of my main filters for understanding the world is through books (in all formats). At this stage, I use a lot of books to help my kids explore and understand the world, too. I want to share what I’ve learned with you. As a former Senior Education Specialist, I have led resource review and selection for a major urban school board, was seconded to a provincial Department of Education as a Manager for Literacy, Numeracy & School Libraries, and have my Master’s degree in Information Literacy and Adult Education. I’ve been a teacher for 18 years, a Teacher-Librarian for 14 years and am passionate about sharing my knowledge. 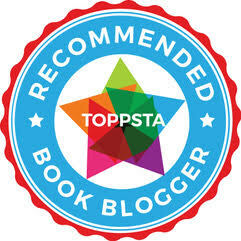 I am a Director on the board of and do professional reviews for a children’s book review journal: Resource Links. Join me on the journey as I explore being a “mature” mom to multiples, toddlers, and adopted children through the lens of children’s books. I’m learning a lot – the tables are turned on this teacher! I can't believe the Wee Page Turner is 4 weeks old. Well done MummyBookBairn. Good job. "Have you seen birds" sounds absolutely perfect for BookBairn. She really loves watching the birds on our walks. What Can Your Feet Do?